Is Your Website Ready For Gutenberg? Gutenberg is scheduled to be released on Thursday this week, is your website ready? It’s a new built-in editor for WordPress that will completely change how we edit and publish posts and pages within the WordPress admin panel. They have been developing, testing and talking about Gutenberg for nearly 2 years now and it’s finally ready to be released with the next major WordPress update, WordPress 5.0. 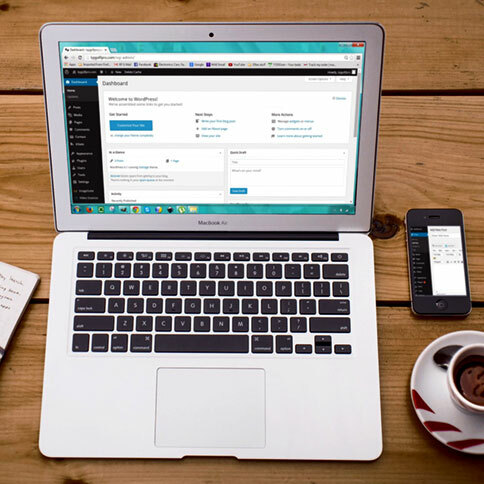 This is one of the largest changes they have made to WordPress and your site will need to be tested and prepped for the big update to make sure it’s ready. Gutenberg is the new built-in editor for WordPress that will replace the classic editor that we currently use. It will be included in the new 5.0 release of WordPress so you don’t need to do anything to get it, other than update your WordPress version to 5.0. Editing posts and pages will be a completely different experience than before. The change is meant to make editing easier and more intuitive, and with more options than ever before built-in, which should mean less plugins will be needed to accomplish editing tasks. You’ll build things with “blocks” in the editor, adding a paragraph block for text, a heading block for headers, etc. There are blocks for pictures, galleries, lists, embedded items, files, and tons more, to allow you to more easily add the things you want to your posts and pages. It’s quite different than before so there has been a lot of criticism about the update, but the lead developers behind the project are hoping to ease the learning curve for new users and make WordPress more approachable for everyone. This is a major update. You can just press the update button and hope for the best, but it’s highly recommended that you test before deploying this on your live site. The best testing method is to set up a staging site, install the update and make sure it works. It may not be compatible with other plugins, themes, etc. Since this is a major update, it won’t be completed automatically like other minor updates may be. You will need to manually go in and press the update button. Some hosts, especially if you’re on a managed WordPress plan, may do it for you. So you may want to do your own testing ahead of time if they won’t be testing for you. But most will likely give you notice and some time to complete any testing needed. There is a Gutenberg plugin out currently that allows you to test before the WordPress update is pushed out on Thursday. You can install the plugin, either on your live or staging site and it will give you the same Gutenberg editor to test with. What if my site isn’t compatible? The editor will be built-in with WordPress 5.0 but the development team knew that not every site will be compatible so they developed a classic editor plugin that you can install if the Gutenberg editor isn’t for you or doesn’t work on your site. If this all sounds overwhelming, we would be happy to help test and work out the bugs for you so your site doesn’t have any issues with the update. Get in touch and let us know if you have questions or would like some assistance with it. Gutenberg is coming, so it’s best to be prepared and test before launching it on your site. It is always recommended that you update to the latest WordPress version, but do take your time with this one and make sure your site doesn’t go down by being too hasty with the update. We’re excited for these changes and can’t wait to see what the WordPress community does with it!